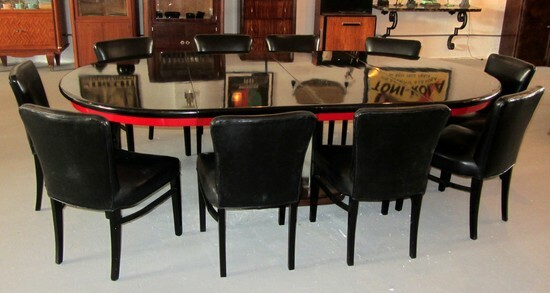 A one of a kind important American art deco dining room set, designed on commission by Paul Frankl (1886 – 1958) for his La Jolla Project. 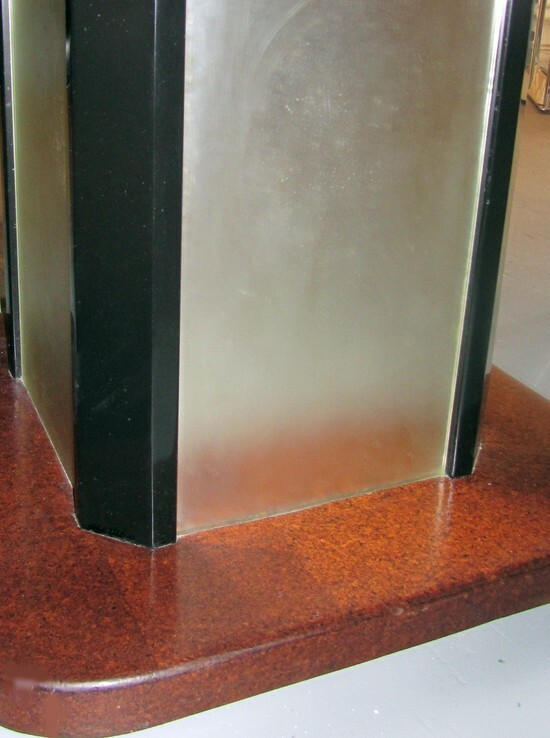 The table, in black & red lacquer sits on a center plinth of frosted mirror panels with black lacquer trim. The base is of cork veneer. 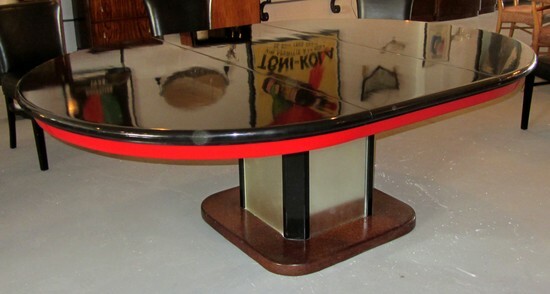 The table is a near circle, measuring 60” long, 59” wide and 30” high. When the 24” leaves are inserted the table extends to 84” long with one leaf and 108” with both leaves in place. The leaves match the table top completely so they can be kept in if the space permits. 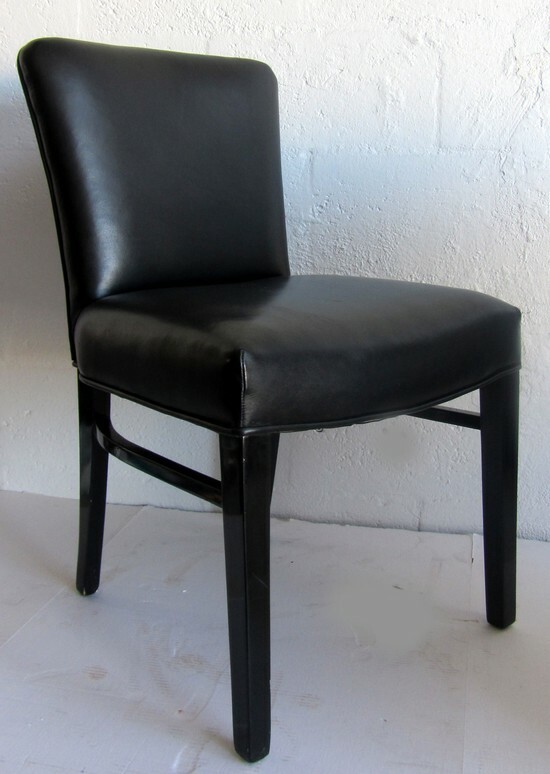 The ten chairs which Frankl designed to go with the table have black lacquer legs, straight in front and splayed in back. They are connected by a curved stretcher on each side. 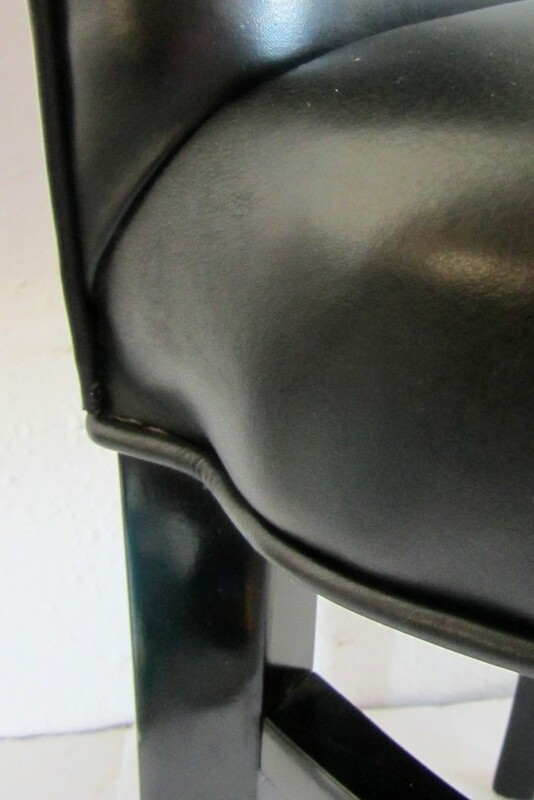 The seats and backs are covered in black glove leather. 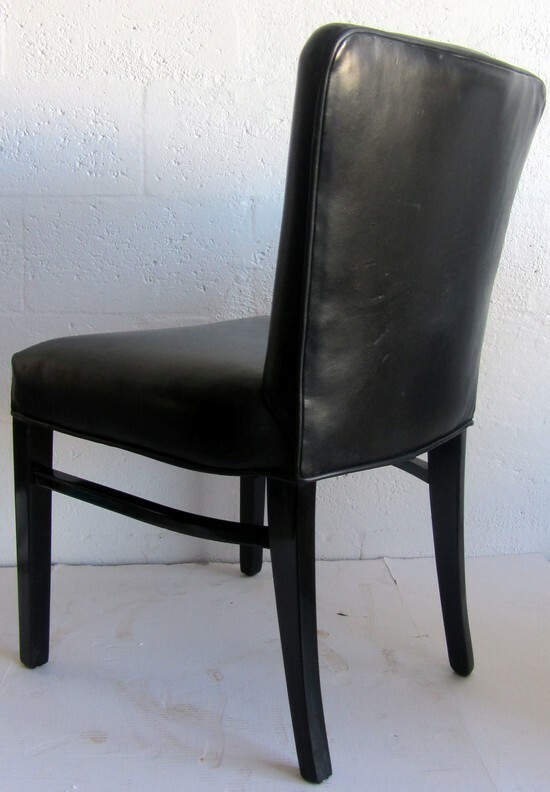 The chairs measure 18-1/2” wide, 20” deep and the backs are 32” high. 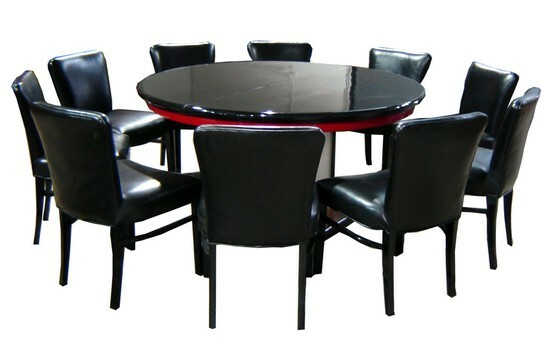 Equally comfortable in a dining room or a board room as a conference table.